bel canto, n. a. 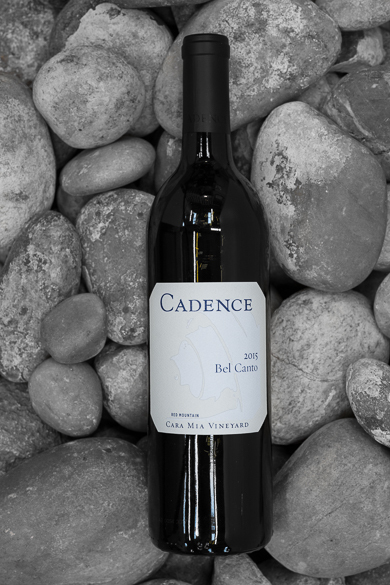 A style of singing characterized by beauty of tone rather than dramatic power [Italian, literally: beautiful singing], b. Cadence blend of Cabernet Franc and Merlot grown on its estate, Cara Mia Vineyard. High toned blue fruit, herbs and tobacco leaf leap out of the glass. The same complex mélange of flavors are present on the energetic, firm palate. There is real tension in the middle, with fruit playing against acidity supported by fine, dusty tannins. The density and energy of Bel Canto are stunning, and the sweet fruit weaves itself around the firm tannins on the lengthy finish. Decanting or time in the cellar will unlock this wine’s true potential.